Is your marketing division well prepared for the digital future? This statistic shows the results of a survey on how retail managers and marketing executives estimated the preparedness of their marketing team for the digital future in Germany in 2014. 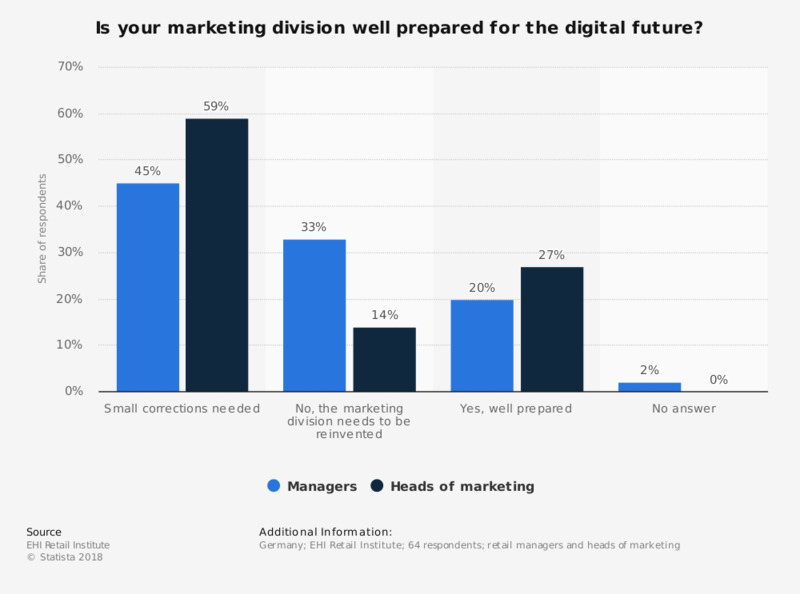 During the survey period it was found that roughly 27 percent of the responding marketing executives stated that their marketing division was well prepared for the digital future. Is Brexit having an impact on the way your organization is (or your clients are) approaching the General Data Protection Regulation (GDPR)?